Lawyers' office, Medical clinic, Accounting firm, or many other possibilities. Here is an opportunity to purchase a high profile Office / Retail premises in the heart of Newton’s Town Center right across from Newton Wave Pool. 4500 Sq/Ft, all on one floor, sitting on a 12,981 Sq/Ft of private land with 16 parking stalls. Walking distance to all types of amenities and transportation. 2500 Sq/Ft is designed for a Medical/Lawyer's/Accountant office with 8 rooms, a board room, storage and a kitchen. 1024 Sq/Ft is leased for Spa Treatment with 2 Rooms and a Main room. 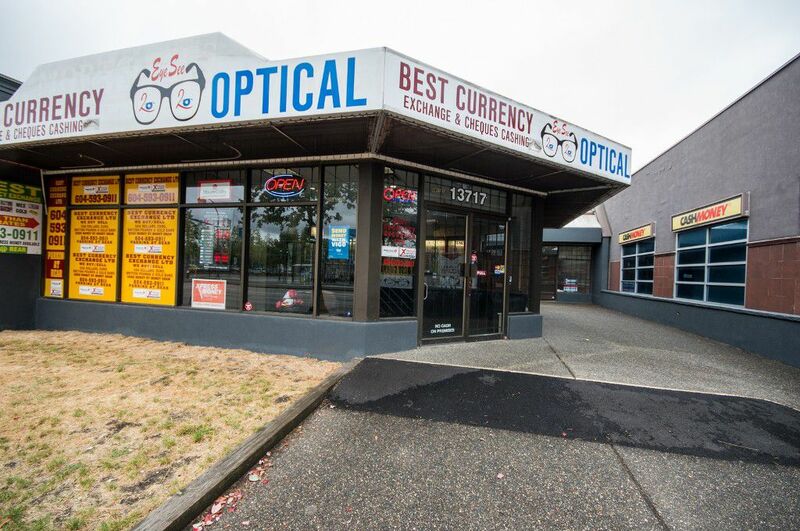 The Front is a 923 Sq/Ft Optical Store that used to be a pharmacy, or build for your own purpose.